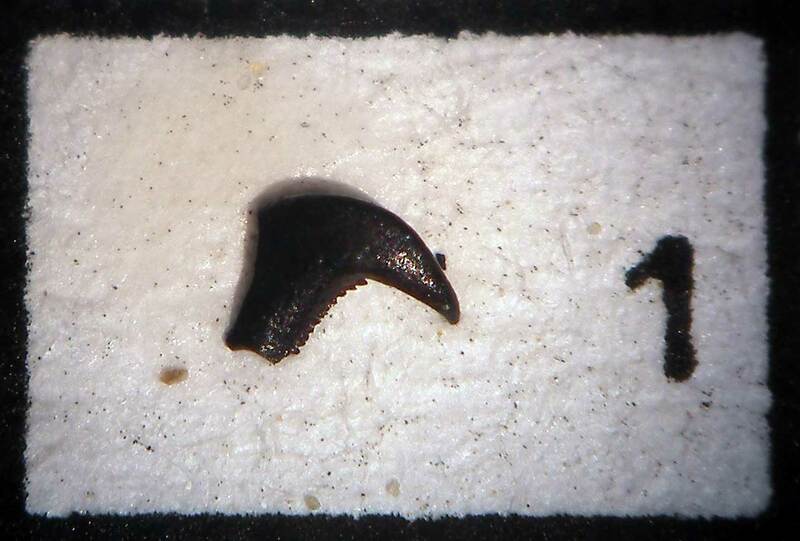 This picture is of a microfossil called a scolecondont (part of a worm jaw). It was found in the Waldron Shale of Clark County, Indiana, USA. The age is around 420 million years old which would place it in the Silurian Period. It reminds me of a Silurian scolecodont found in Sweden called Kettnerites sp. Also one found in New York called Nereidavus invisibilis. I have not been able to find much research on the ones found in the American Waldron Shale though.